Don's happiest mornings during his retirement years were the ones when he could go flying. He believed that his desire to fly, which began when he was a boy, was something that God led him to fulfill after a 40-year wait. On several occasions, Don said that flying was a gift from God to him. 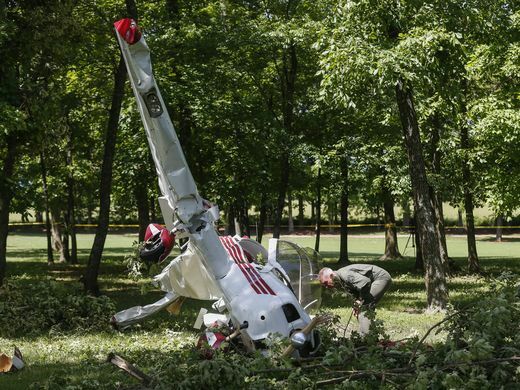 On May 22, 2018, about 0930 central daylight time, an experimental amateur-built Zenith 601, N622DP, collided with trees and impacted terrain after takeoff from Bolivar Municipal Airport (M17), Bolivar, Missouri. 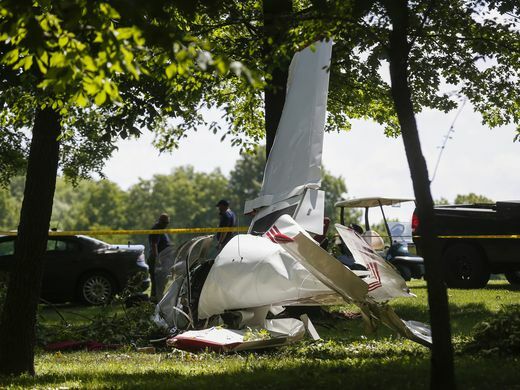 The private pilot was fatally injured, and the airplane was destroyed. The airplane was owned by the pilot who operated it under the provisions of Title 14 Code of Federal Regulations Part 91 as a personal flight. Visual meteorological conditions were reported, and no flight plan had been filed. The local personal flight originated about 0925. 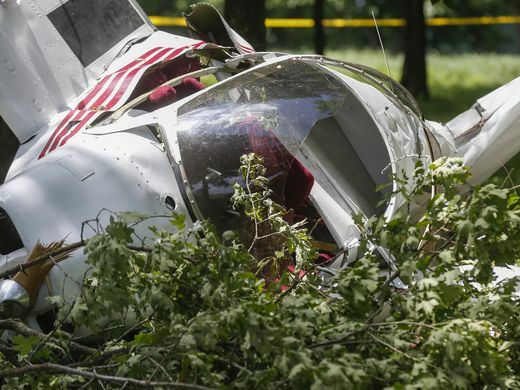 According to one witness, the airplane was flying "low above the trees," and the nose "going up and down about 50 feet above the trees." The witness reported that the engine wasn't "making any strange noises [and had a] steady tone." The accident site was located about 0.75 mile south of M17 between the 16th and 18th holes at the Silo Ridge Golf and Country Club. 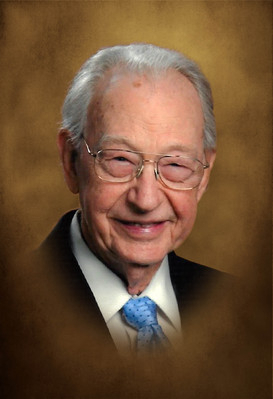 The 87-year-old pilot held a private pilot certificate with an airplane single-engine land rating. He held a BasicMed certificate. The pilot reported having about 1,662 hours of flight experience of which about 507 hours were in the Zenith 601. The pilot also held three repairman experimental aircraft builder certificates. The airplane was constructed by the pilot from a kit and was issued a Federal Aviation Administration (FAA) certificate of airworthiness on June 21, 2007. It was powered by a Continental C85-12 engine, serial number 26363-6-12, rated at 85 horsepower, driving a Sensenich 2-blade, fixed pitch, wooden propeller, model number 68X54R. The Hobbs meter on the instrument panel indicated 506.5 hours. 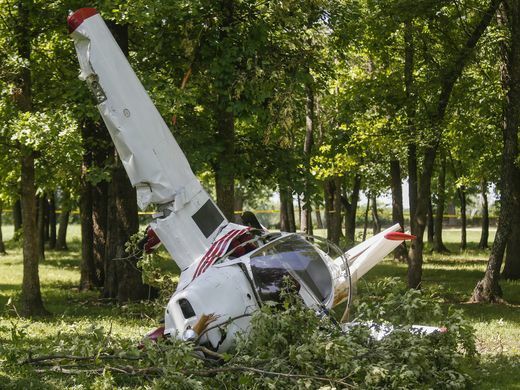 At 0930, the reported weather at the Springfield-Branson National Airport (SGF), Springfield, Missouri, located about 21 miles south of the accident site, was wind, calm, visibility, 85 miles, ceiling, 400 feet broken; temperature, 22°C., dew point, 21°C., and altimeter setting, 30.08 inches of mercury. 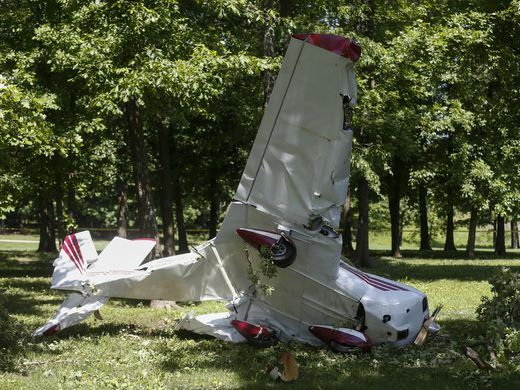 Examination of the accident site revealed evidence consistent with the airplane striking the tops of trees on a magnetic heading of about 140°, descending in a nose-down attitude, and impacting terrain. The horizontal stabilizer was twisted 180° and displayed evidence of tree strikes. The leading edge of the right wing displayed numerous indentations consistent with tree strikes. A tree branch was embedded in the right main landing gear wheel pant. Broken tree branches lay scattered on the ground around the airplane. Flight control continuity was confirmed, and the shattered wooden propeller displayed evidence consistent with rotation at impact. An autopsy of the pilot was not performed. 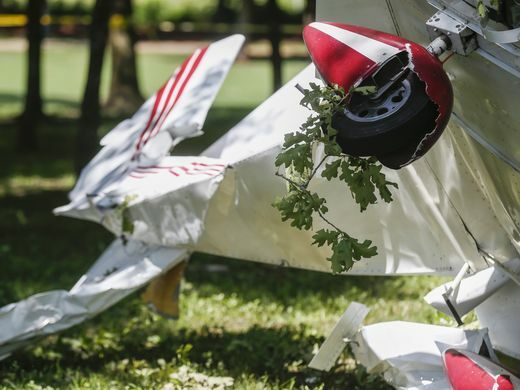 The pilot's death certificate listed the cause of death as blunt force trauma. FAA's Bioaeronautical Science Research Laboratory, Oklahoma City, Oklahoma, performed toxicology testing, and no ethanol or drugs were detected. Cyanide and carbon monoxide testing were no performed.